Through reasonable maintenance, we can keep good operation condition , ensure the intact rate and utilization rate, maximize the production, guarantee the quality and satisfy the requirements of production. What is the significance of maintenance of the concrete mixing plant? Next, I will talk about it in detail. 1.Keep the mechanical technique in good conditions, reduce the downtime of the mixer and improve the intact rate and utilization rate. 2.Under the condition of reasonable use, the accident would not happen due to mechanical damage and the construction would not be affected. 3.Reduce the wear of the mechanical parts and avoid extending isolation the repair time of machine and reducing service life due to early damage. 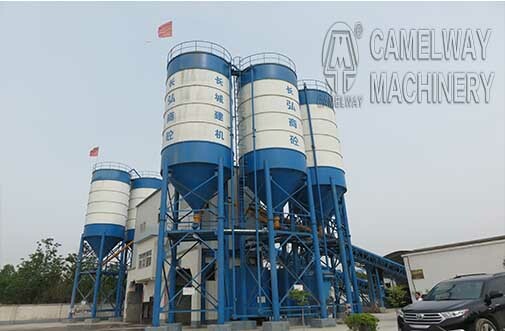 4.Lower the cost of the operation and maintenance of the asphalt mixer plant. Lower the mechanical fuel, lubricating oil, spare parts, replacement equipment and other materials to a lower limit.